To setup email under Netscape, select Edit->Preferences. 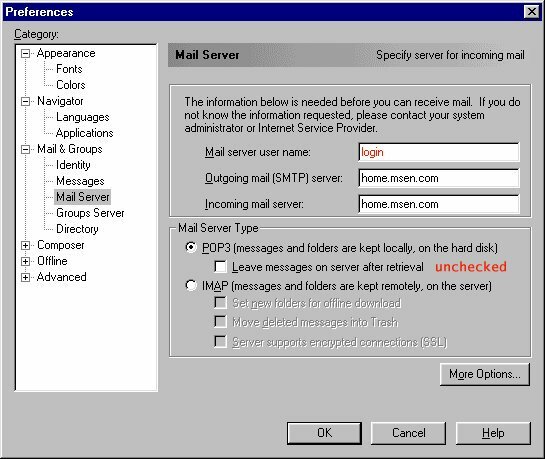 In that window, expand the Mail & Groups selection, and select Mail Server. Now, fill in the fields. Red information is account specific. Black information is standard across all MsenLite accounts. 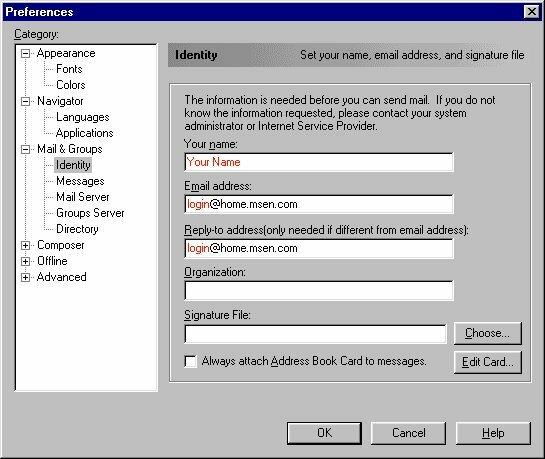 The login should not contain a leading L. The "Mail Server Type" is POP3, and the "Leave Messages" should be unchecked. Fill in your name, and the login information. 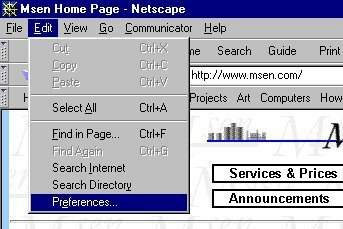 At this point, all the required fields are filled in, and you are able to access your mail using Netscape.